Patiala, the second largest city in Punjab State, is situated to South-eastern part of Punjab. The entire city was Spreaded around the renowned fort of Patiala, called “Qila Mubarak”. In this modernized culture, even now you could see Punjabi Men in Patiala wearing traditional Turban and Paranda, Punjabi Women wearing Patiala Trousers and Jutti (kind of footwear). Patiala has many prestigious educational institutes. 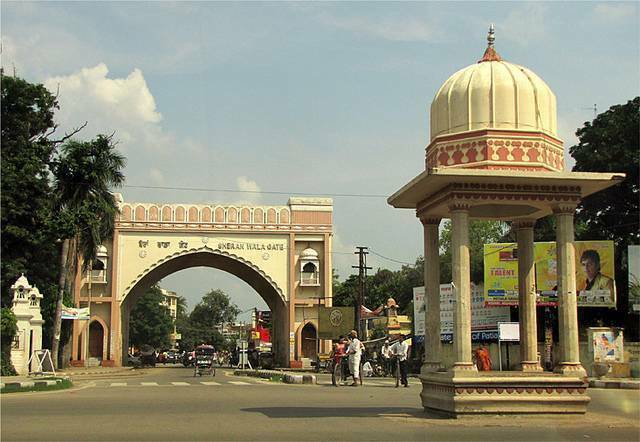 Patiala was the first city to have the degree college which was opened in 18th century in this region of India. You can feel the Rajput Style and elegance got mixed in Patiala’s culture and traditions. Patiala Gharana, a form of Hindustani Music was established and popularized by patronage of Maharajas of Patiala. Enormous famous musicians from Mughal Dynasty came and joined the Gharana School after the Mughal Empire was demolished in Delhi. Also during Indo-Pakistan partition, many Muslim Refugees settled down in the Patiala areas. The then King called Maharaja Yadavindra Singh along with his wife worked diligently for the wellness of the refugees. Patiala is renowned for high quality carpets, textiles and handicrafts. Near Chhoti Bardari, Phulakari Emporium offers the best of Phulakari Works. Old Qila Mubarak gives you the splendid bangles, Paranda, colored Nala and Punjabi Jutti. Laxmi Narayan Mandir located at the Ranjit Sagar dam colony is of utter important to all devotees of Lord Narayna.